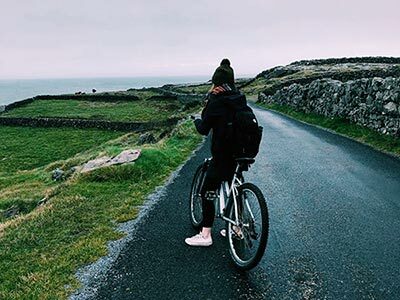 During Julia Carr’s semester abroad, studying at the National University of Ireland at Galway, she spent her weekends traveling all over and exploring different places. Julia Carr '20, a biomedical engineering major, fell in love with Ireland while visiting family members there, and always wanted to return. Spending a semester studying there would be the best way to do that, she reasoned. 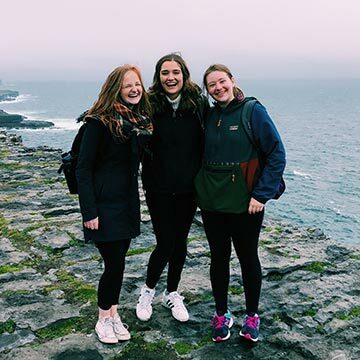 “Visiting or vacationing in another country is one thing, but living, studying, and completely immersing yourself in a country for several months is a completely different experience, and an opportunity to learn more about the culture and people who live there,” Carr says. 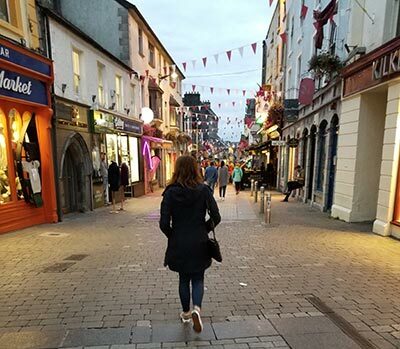 She fulfilled her goal by attending the National University of Ireland in Galway (NUIG) during Fall 2018 through a CEA non-UR study abroad program. “I had to take more of an independent role in terms of the logistical aspects of organizing the program, including finding equivalent courses, etc. but all of the faculty I reached out to at NUIG as well as the faculty at UR were incredibly helpful and supportive,” Carr says. She took four classes that counted towards her major here. Signals and Communications was the equivalent of BME 230 (Signals, Systems and Imaging); Thermodynamics and Heat Transfer was the equivalent of ME 123 (Thermodynamics); and she used two other classes—Quality Systems in Engineering and Religion and Irish Life—towards her electives. “Living independently in another country really helped me become more self-sufficient and ultimately grow as a person,” she says. Carr, at left, with two of the friends she met in Ireland. “Do some research and talk to other students who have gone,” she advises other who are considering study abroad.